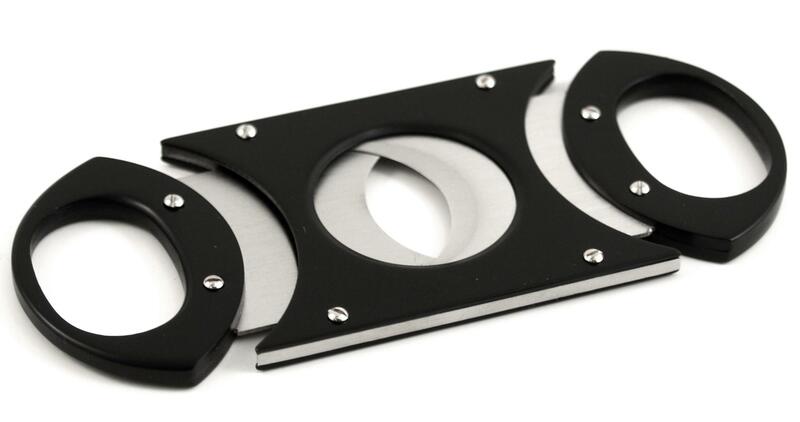 Our exclusive Metropolis II cigar cutter is the latest improvement to the Metropolis I cutter line. It still has the sturdy and rugged design but a bumped up size which allows it to cut cigars with ring gauge of 64! Two ultra sharp surgical stainless steel guillotine blades will provide the perfect cut. Featuring unbelievably smooth operation in a stunning matte black finish and nicely gift boxed, this cutter will surely impress.